10” playing surface replicated onto 12”? ? ? ? 'Wish U Had Something' is an excellent track! Well ahead of its time. This is an absolutely brilliant album by the legend that is Jonny L. A fantastic electronic lp mainly consisting of drum & bass with lovely drum patterns (Detroit, Treading), melodies (I let u, 2 of us, Tychonic cycle) and darker tech step territory (Piper, S4, Obedience, Wish u had something). Very sought after album by Jonny L still does not sound all that dated despite being released in 1997. Make no mistake about it... the LP shaped drum & bass and should be mentioned in the same breath Ed Rush and Optical's "Wormhole" as far as its impact on the scene. Wish U Had Something, I Let U and Piper are some of the stronger tunes, but there is no fluff on this album. Deep, dark, intelligent, ground breaking... this 5X10" has it all. A must for all lovers of music... not just D&B. First album of Jonny L on XL recordings, the label of The Prodigy. 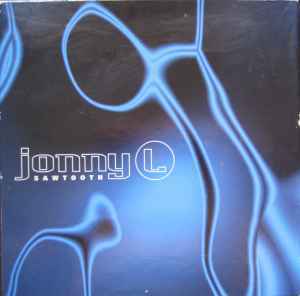 Before I found this album, the only track I knew by Jonny L was the remix of The Prodigy - One Love. This album sounds like minimal techno in the world of drum 'n bass. Well arranged and with a thumpin' bassline these tracks must all be floor fillers, especially 'Piper', which was a big hit. This is clean, minimal and pure drum 'n bass, my all time favorite in this genre.